The first tweet I shared about this book was two months ago. I finally finished it today. It fell victim to multiple books being read simultaneously, not being on my kindle while traveling, and other excuses. But I did not want this book to be read hurriedly. Dr. Cloud’s works should require margin in the reader’s heart and mind to receive the full impression. 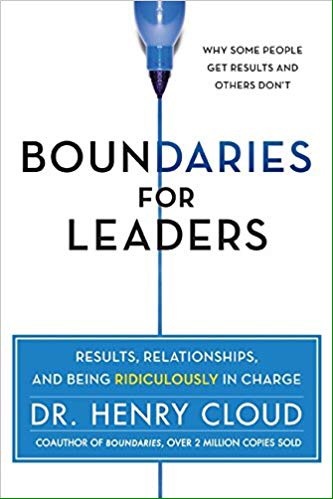 And this book, for leaders in particular, should be given the fullest margin. I had only managed to get through a couple of chapters before last weekend. I determined to give it my full attention and get it finished. Let me say, last Saturday was a memorable reading day. My highlighter was busy. My mind was engaged. My heart was encouraged. If you have the right people on board, they will exceed your wildest expectations. The gap between where we are and where we want to be, which is the goal, does not go away by itself. We have to close that gap. And we have to deal with gaps that, sometimes, are difficult to face but motivating. Two sets of reality consequences – the promise of positive outcomes and the fear of losing something of value – are among the most fundamental drivers of human performance. Research shows that a “getting better” orientation goes much farther than a “being perfect” orientation. The first element missing in many leadership scenarios: the right kinds and the right amounts of time together. Don’t allow big problems to become elephants in the room. Name the elephant. Put your smart phone in your pocket, purse, or bag. Some of the best leaders I know have a “no cell phone or email during this meeting” rule. What you create, and what you allow, is what you get as a leader. Especially thinking. Great leaders do the opposite of exercising control over others. Instead of taking all the control, they give it away. When people assign a specific time and place for completion of specific tasks and goals, their chances of success increase by up to 300%. The best leaders and organizations I know make use of outside sources for coaching and lifelong learning in a very organic fashion. To be the best you can be, you must develop a hunger for feedback and see it as one of the best gifts that you can get. “Fearful” is when you let your fears make your decisions for you, so…don’t let fear make your decisions for you! Having fears is normal. Being “fearful” is dysfunctional. Many leaders allow too much lag time between knowing and doing. If one person calls you a horse, blow it off. But if five do, buy a saddle.